University of Minnesota Extension's nutrient management team has a new way for you to hear the latest nutrient management research, timely news and seasonal information. Once a month, the team will share the most up-to-date trends and information on what we're seeing in fields across Minnesota. In the latest episode, Fabian Fernandez, Dan Kaiser and Jeff Vetsch talk fall fertilizer applications. When should you apply? What source should you use? What about inhibitors? The answers are all there. They take a look at MAP and DAP fertilizer applications and what that means for N availability. Plus, they weigh in on the proposed nitrogen rule for Minnesota. 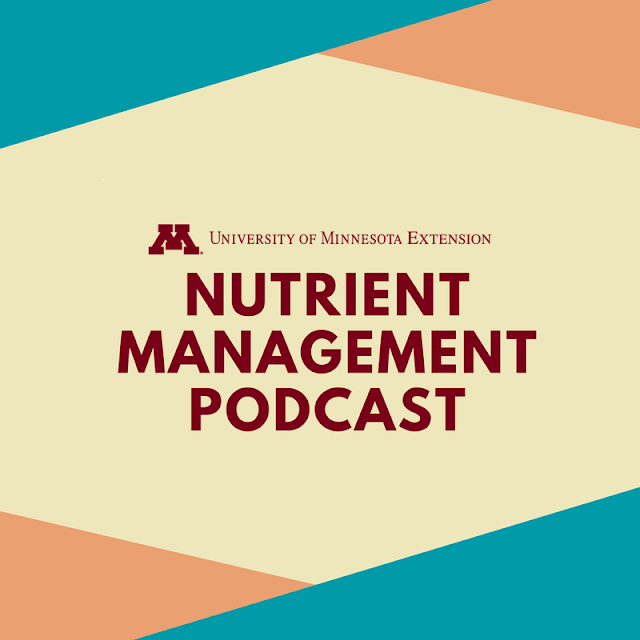 To get updated episodes straight to your phone, subscribe to the UMN Extension Nutrient Management Podcast. How about the Android users?